Container gardening will only be successful if your planter has adequate drainage holes. Without oxygen in the root zone, the roots will ‘drown’ and the plants will die. 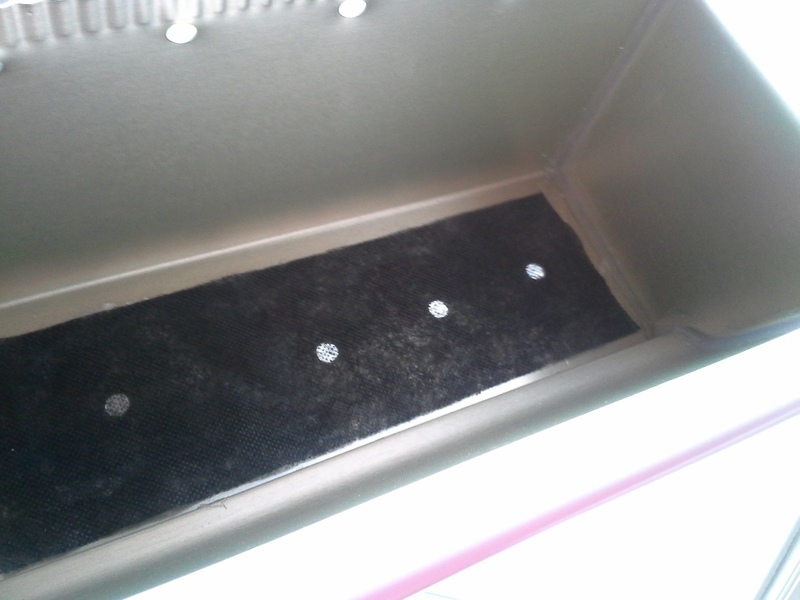 Filtered Drainage in container planter. Gutter Gardens™ have a series of drainage holes every 4-5”. 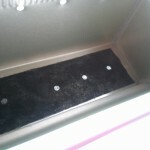 Those holes are covered by lightweight landscape fabric to hold in the potting mix. Occasionally the filter is clogged by fine potting mix. Just stick a needle or toothpick up through the bottom holes if the planter isn’t draining properly. For most vegetables and many flowers, your Gutter Garden™ will need at least five hours of direct sunlight each day, and many plants will benefit from even more. 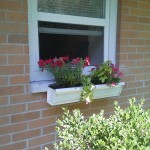 Black window boxes in FULL sun. 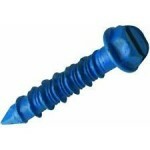 The Gutter Garden™ color you select is something to consider.. 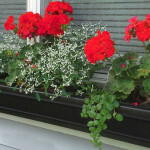 If your location has all day full sun, you may want to consider using a white Gutter Garden™ to help protect the roots. Darker colors may absorb more heat so they are ideal with partial sun/shade locations. However, the color scheme of your house is also a key factor...so select the color that works best for your situation. 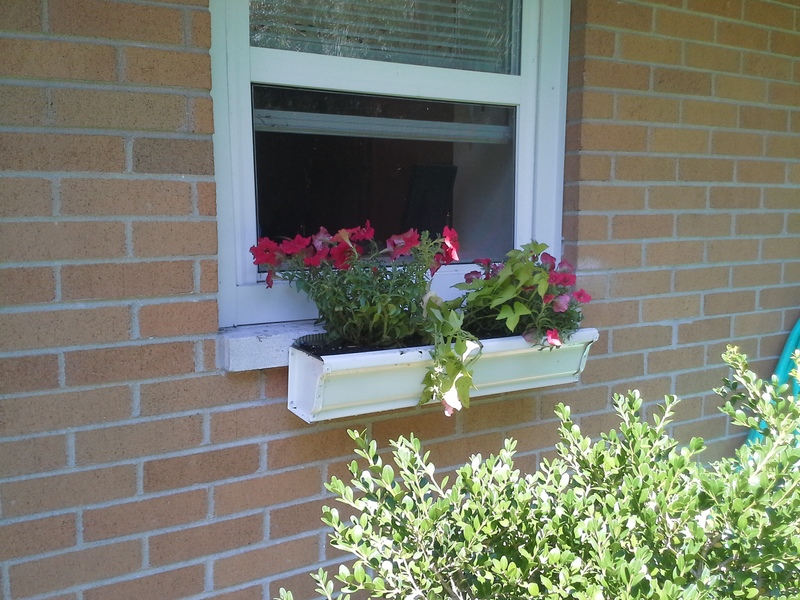 I have had full sun on my black Gutter Garden™ window boxes, and they did beautifully. Keep in mind that these are annual flowers…as long as you water them regularly, they will thrive and look gorgeous for their short life span. The amount of sunlight needed by plants varies depending on the varieties grown. Watering: Whenever a plant grows outside of the ground, sufficient watering is always an issue. 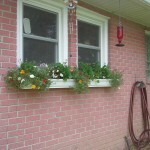 In a hot, sunny location, container plants lose moisture quickly. Aluminum (material used in Gutter Gardens™) is not porous, so moisture does not evaporate as quickly as many other planters. 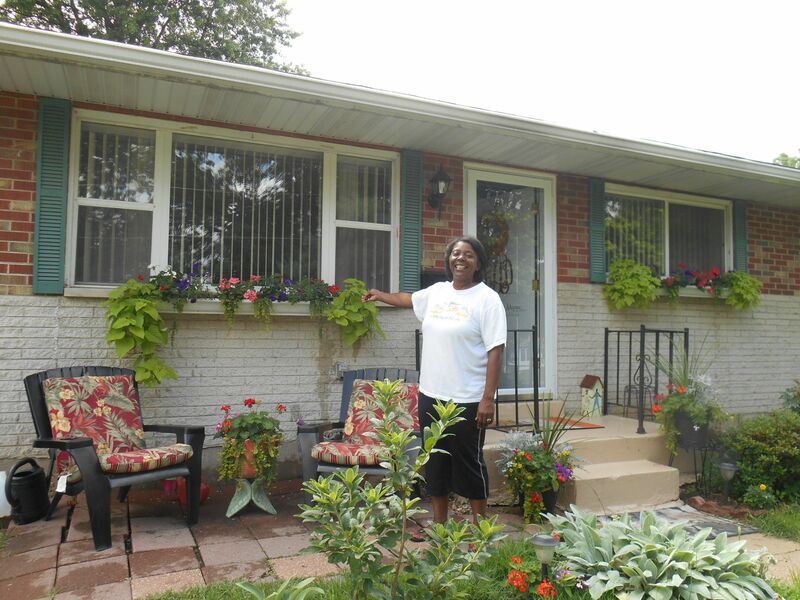 Never-the-less, some plants will need to be watered daily, especially during hot, dry weather. 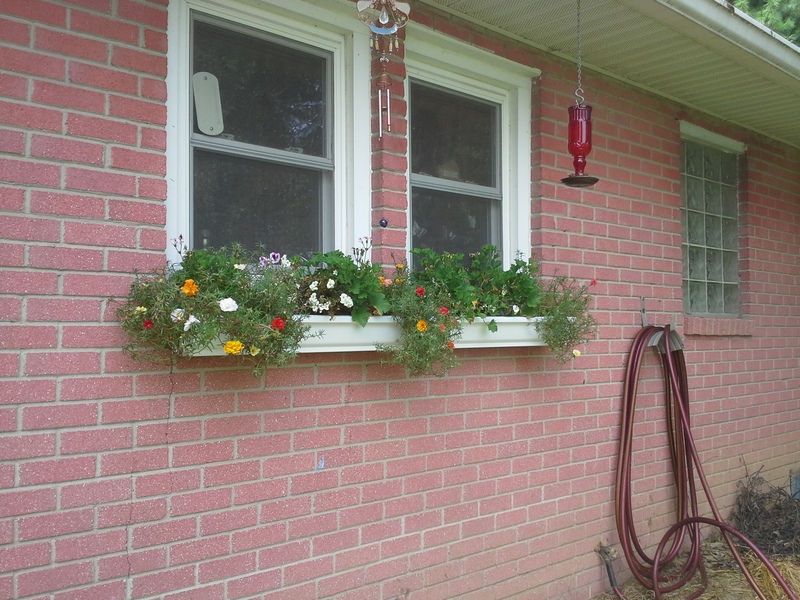 We have found that impatiens do great in Gutter Gardens™ that have a lot of shade. Begonias also do well in shade. Annual sun loving plants include sweet potato vine, wave petunias, vinca flowers, creeping jenny and geraniums. Many herbs and lettuces love the son and have ample root space in the Gutter Garden™. 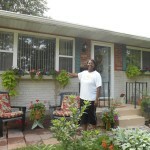 Be sure to check out the pictures on this website that show Gutter Gardens™ in various settings. Your local nursery may be able to help you select just the ‘right’ plants for your Gutter Gardens™. Follow planting directions that come with the plant. Actually, I tend to crowd them a little and have had good results. Please email us at: master_gardener@guttergardens.com for specific questions about particular plants or sun requirements.